Cynthia Wesley, Carole Robertson, Addie Mae Collins, and Denise McNair. They did not die in vain. 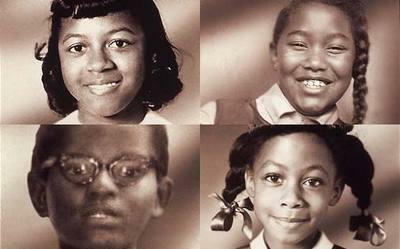 Birmingham, Alabama – Today (September 15) marks the 49th anniversary of the senseless murder of four little girls attending Sunday School at 16th Street Baptist Church in Birmingham, Alabama: Cynthia Wesley, Carole Robertson, and Addie Mae Collins who were 14, and Denise McNair who was 12. The church was bombed on September 15, 1963 by a Ku Klux Klan related group in a vain attempt to terrorize the African American community. The nation was stunned by the news, and virtually overnight, these four young innocents became the leading figures in a renewed non-violent Civil Rights movement led by Christian clergy. Non-violent outrage over their deaths, arguably, became the impetus for the greatest achievement of the black liberation movement in the United States: the Voter Rights Act of 1965. Wesley, Robertson, Collins, and McNair should, of course, be remembered perpetually for the loss of their young lives to race hatred in the great Civil Rights struggle of the 1960s. But this year, their loss, and the response of the African American Christian community to their outrageous murders at the time, is a lesson the world needs most acutely. In the wake of violence throughout the Muslim world over a blasphemous online video defaming the Prophet, and the mounting death toll of American diplomats and Muslim demonstrators, the world needs to pause, take a deep breath, remember the 16th Street children, and choose better ways of protest. Speaking out of her own faith as a United Methodist Christian, Secretary Clinton went on to say, “I so strongly believe that the great religions of the world are stronger than any insults. They have withstood offense for centuries. Refraining from violence, then, is not a sign of weakness in one’s faith; it is absolutely the opposite, a sign that one’s faith is unshakable.” Rather than take the path of violence, she said, when one person acts with violence, a million should respond with deeds of religious tolerance and reconciliation. Instead of amplifying hatred, she concluded, each of us must commit ourselves to acts of religious tolerance in our own communities of faith. Reflecting on the lessons of the 16th Street martyrs, the verdict of history is that only the power of love can conquer senseless hatred–the sort of love typified by the non-violent Southern Christian Leadership Conference in the wake of irrational hate crimes like the murders of four little girls nearly fifty years ago. Hate crimes are brutal teachers, but the precepts they teach can lead toward justice and hope, and away from hatred and fear. The difference is the choices we make and the deeds we do. When confronted with savagery, African American Christians and their allies answered with courage and a greater love–love for what is best in faith, what is best in society, and what is supreme in human experience: the power of reconciliation and hope. 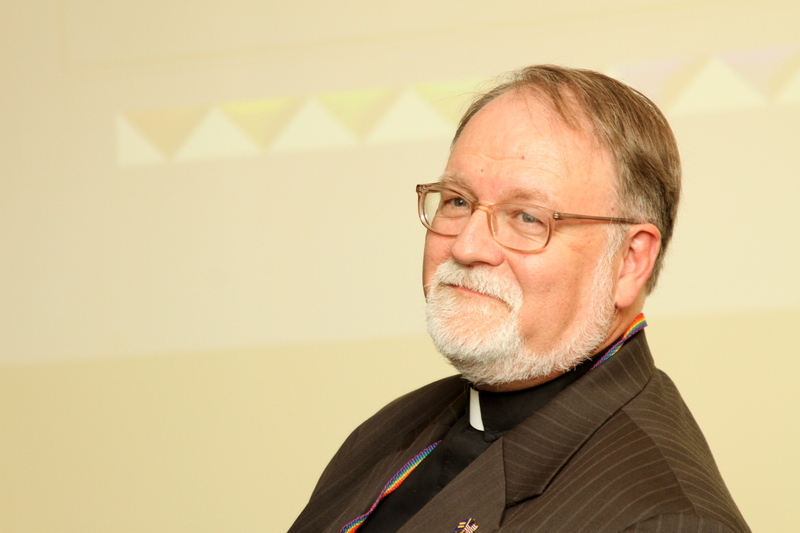 The gathering of large contingents of LGBT Clergy and Allies to lobby for passage of fully inclusive hate crimes federal legislation, first in 2007 and now, has done much to persuade fence-sitting members of Congress that the radical right does not own the religious vote on this issue.